La Veranda Resort offers a unique welcome, far away from the hustle and bustle of daily life. At this luxury beach hotel on the island of Phu Quoc, Vietnam, the dominant themes are well-being, discovery and escapism. A spa destination for total relaxation: Taï Chi and Qi Qong on the beach in search of physical and mental harmony. When the sun goes down, treat your palate to the delights of the hotel’s gastronomic restaurant, “The Peppertree”. 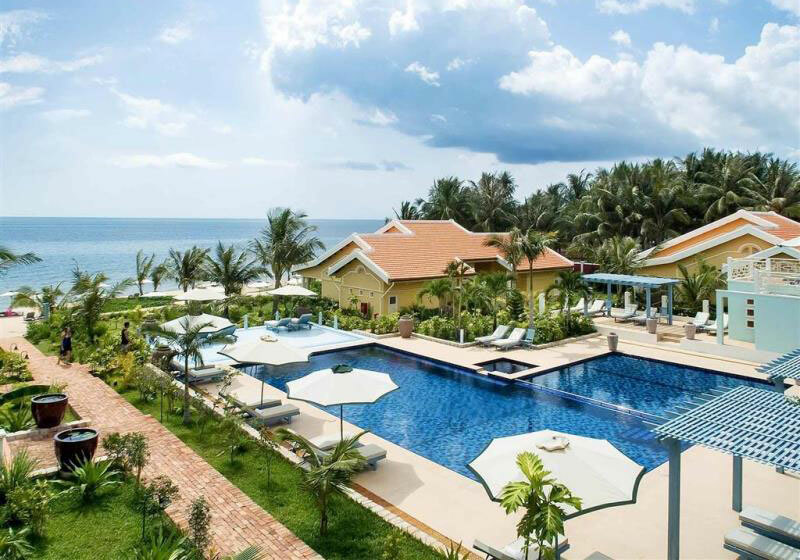 Short Description: Located on Phu Quoc Island (Vietnam), La Veranda Resort Phu Quoc, member of the MGallery collection, boasts a style reminiscent of a French seaside mansion. Fusion Resorts is a new movement consisting of Vietnam’s most unique, forward-thinking and individually oriented hotel, resort and residential properties.